Before trading in the Forex market, one of the most important things people look for is the trading platform. It is a good thing to look out for because all the transactions will be carried on the platform itself. One needs to get a complete understanding of the software, how it works and how to place trades through it. If you are someone who is searching for a highly interactive and user-friendly trading software, then you should definitely try IronFX trading platform. It is one of the most transparent trade platforms that you are ever likely to come across and is known for its efficiency and innovation it brings into the trade. Web-Based: It features MT4 software which is compatible with Windows and Mac based PC. You will be able to get all the important tools and other resources needed to analyse the Forex market and make your trade profitable. The platform is equipped with front-end terminals and back office reporting functions. Some of the different features include access to activity reports, online news, charts and monitor the price of financial instruments live. Mobile & Tablet: You will be able to get nonparallel trading features if you install the IronFX app on your mobile or tablet device. You will be able to place trades, monitor your entire trading activities and make trades from anywhere. The trading platform is compatible with all versions of iPhone and iPad devices and you can download the app from the Apple iTunes. The IronFX Trading Platform has been designed keeping the inexperienced and newbie traders in mind. The user concerned will have no problems whatsoever in dealing with the financial instruments. All the info regarding assets like expiry time etc are clearly mentioned and offers the best insight to the trader concerned. Important data pertaining to the trade can be easily found out like menus and sub-menu without wasting any time. The website is completely modular which means that an individual trader can browse from one tab to another for setting up trade without any kind of hassles. The trading tools are very easy to navigate and it is extremely beneficial for the traders to analyse everything before they invest in a given asset. All in all, the IronFX trading platform is known for its innovative interface and practical approach. 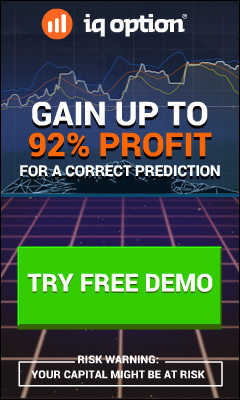 Hundreds of people have opened a trading account and are accessing the trading software without any kind of hassles. There is no reason as to why you should not. You can open a demo account with the broker to test the interface of the software and once you are satisfied, you can enter business with them and start placing live trades in the Forex market. At the same time, you are recommended to read our comprehensive IronFX broker review to learn more about this merchant and how it operates in the industry. Is IronFX a Good Broker?